When it comes to our medications, one of the major risks we have to watch out for an accidental overdose. The risk is higher when the patient is a child or elderly as their body may not be able to cope well with the accident. As a Pharmacy in Lake Worth, West Palm Beach, let us share with you simple tips and reminders so you can avoid an overdose occurrence to your patient at home. Make it certain to follow the labels of the medicines you purchased, especially what is being instructed at the Drug Facts section. Dosage instructions are included in this label in most cases. Before administering the medicine, read and follow the medicine’s label. Identify what is the medicine’s active ingredient, which you can read from the label or ask from a pharmacist in an Affordable Pharmacy in West Palm Beach. For instance, if you’re taking medicine for headache and another for cold, but both have the same active ingredient you will end up having too much dosage of their active ingredient. When you’re a family caregiver, always see to it that you’re giving the medicine at exactly the prescribed measurement. If you need to buy a syringe or measuring cup, do so, as this can help the correct administration of the medicine. Do not use medicine more than what your doctor instructed. 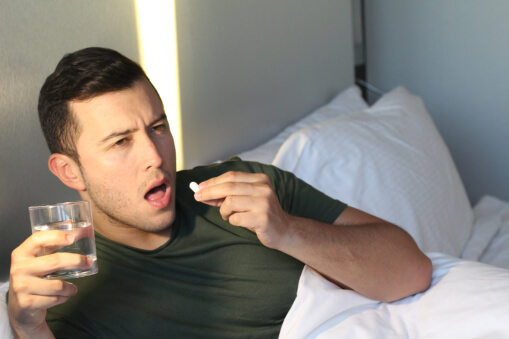 You put yourself at risk of overdose when you take your 5-day medicine for up to 7 days. Make it your habit to talk with the pharmacists about what other items can be safely mixed with your prescription. You have to get this information because some medicines don’t react well with other medicines, supplements, foods, and drinks. When the medicine you purchased from a compounding pharmacy comes with its own dropper or measuring cup, use these items instead to ensure your patient will not have an overdose. Keep an updated record of your child’s weight. Their dosage indications rely on their weight. When your medicine has no dosage indication, ask their pediatrician or the pharmacist. .There’s always a difference between the tablespoon and teaspoon measurements. When the medicine’s instruction indicates “tsp” for teaspoon, don’t use a tablespoon. Ensure that the medicines are always stored in a safe place. Your child’s curiosity can make them reach for those pills and chew them as though candies, putting them at risk for overdose. Always make a double check of the medicine before taking it. Check the container for cuts or tears, then read the package if it’s the exact medicine you need to take, and lastly, check if the medicine’s appearance still looks normal. When you’re suspecting something unusual, have a healthcare professional check it. At Palms Pharmacy, we care for your loved one’s proper medication administration. Let these reminders help you be a conscientious caregiver to your loved ones when it comes to their medicines. This entry was posted in Accidental Overdose and tagged Health Emergencies, Medication, Prescribed Medicines. Bookmark the permalink.